CCA Kids Blog: #ThankfulThursday: IGive ...Do You? IGive puts the fun back in fundraising! Our wonderful friends at IGive are running a promotion. Log onto our IGive page to raise funds for CCA while you shop. Use Tell a Friend to recruit friends to iGive by 3/11. 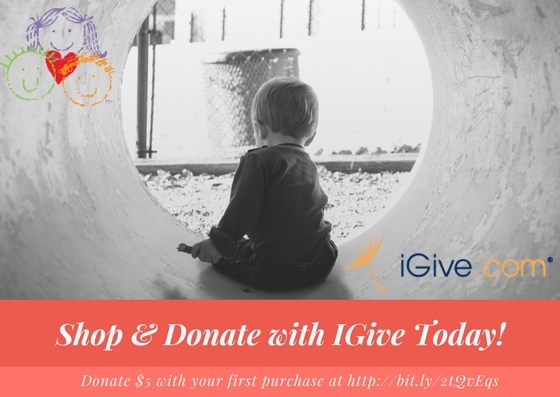 When they install the iGive Button and keep it through 5/31 we'll donate an extra $5! Lots of exciting opportunities to buy new things for you and help us in a small way, too.